130 kids are saying 'Enough' to gun violence -- through an awe-inspiring dance video with some serious star power. Reporter: An empty desk. ??? I'm fighting my shadow ??? Reporter: And an empty seat. ??? I'm fighting a battle ??? Reporter: This is not another viral dance craze. But a bold statement to stand up against gun violence. ??? Lost you where did we go wrong ??? Reporter: 130 children from grade school to high school dancing together, saying "Enough." Using their moves to motivate change. ?????? Gun violence is a top that I can needs to be talked about. But people kind of sugarcoat it a little bit. What do you think about dance so is special for getting out a message? Dance, you can really express yourself through your movement. You don't have to explain yourself when you're dancing. You're a person who is young and who's affected by gun violence, yet you aren't given the platform or the opportunity to really have your voice heard. I put all of my emotion and all of my mind all over what I thought into this dance. Reporter: With an average of 47 children and teens shot every day, director Ezra Horowitz felt compelled to do something. He partnered with every town for gun safety to create this powerful psa. When the parkland shooting happened, it started me thinking about how dance specifically could be a vehicle for change and for healing. 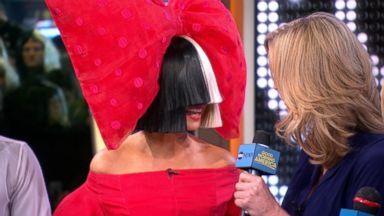 Reporter: What started as a simple idea for activism quickly snowballed when superstar Sia offered her latest track "I'm still here" to the project. ?????? Reporter: Every step. Every step a deliberate expression crafted by celebrity choreographer James Alsop. It's such a critical issue for the entire country. And I don't understand why there isn't a bigger conversation. And maybe we're getting drowned in language. When he said he wanted it to be a dance-driven theme I was like, yes! We get to speak through our bodies. Artistically trying to get a message across like this in choreography, how do you do that? I let the music and the song and the message dictate the movement. Just so that it comes off authentically. Reporter: Known for working with the likes of Beyonce and J. Lo, this was her first time working with this many kids. It was beautiful. Once I got in I was so nervous. Because kids don't hold back. So I started teaching the choreography. They were sponges. They soaked it up. Every word, every move, every direction. It couldn't have been better. It was borderline perfection. Reporter: Perfection? I had to see for myself. So we headed to the studio where these kids rehearse every Saturday. We're in Harlem right now at the national dance institute. These kids are unbelievable. ??? We're the best ??? ?????? Reporter: Empowering thousands of children through dance. It is joyful, it is rigorous, it is disciplined. They come together and they unite around a shared goal. That's what performance does. Not with the goal, necessarily, of training professional artists, but rather, helping children master the choreography of their lives. Why is dance so important in being a catalyst to being a voice of change? It's movement. It's communication. Dance is communication. So we want to empower our young dancers to be the voice of change. To use their voice or their art to express something and make a difference in this world. Do you see activism in your future? Yeah, I hope that this video says to other people that like we're here and we have something to say, and our lives aren't expendable, and this is something that is affecting everyone. Reporter: These children, who aren't old enough to vote yet, are part of a bigger movement of young people hoping to make their voices count. We say, no more! Reporter: Americans all over using art as activism in response to gun violence. Like Manuel Oliver, whose son, Joaquin, was killed in the parkland shooting. He created this 3D rendition of his 17-year-old son. The piece a protest against 3D printed firearms. Across the country, Oliver's creating public art installments called "The walls of demand." Joaquin is right there with us. Joaquin is right there with me, painting. I became a tool that Joaquin can use to still have a voice. Reporter: The Olivers called their nonprofit advocacy organization, change the ref. A nod to their son's favorite sport, basketball. One of my goals is to be able to erase the relationship between the NRA and the politicians that represent us. That is going to be a long, hard fight. But we are committed to have it. Reporter: A fight these young dancers have now joined. Just ahead of the midterms. Saying a word. Enough. When random strangers watch this video what do you want them to take away? Participate in local elections. Do things that can help even in small ways. I really hope people that are using guns abuseively will stop. I do want to make a difference. This video should really make people stop and think and say, what about the children? They always want to say it's about the kids, it's about the kids, but they never rant to do anything to really help them. ??? I'm winning ??? 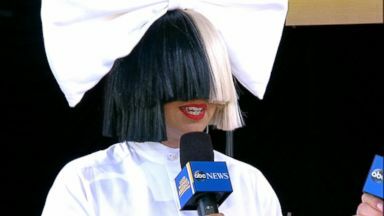 The singer's new album, "This Is Acting," is comprised of songs she wrote for other performers. The Australian singer and songwriter talked about her new album and upcoming tour.